For some flat or low-slope roofs, self-adhered modified (also called modified bituminous) roofing may be the best choice. This material is more durable than EPDM rubber but also has a more difficult installation process. The experts at Community Roofing and Restoration have experience with all types of commercial roofing materials, and can point you in the right direction for your unique scenario. For self-adhered modified roofing installation in Milwaukee and the surrounding areas, look no further than Community Roofing and Restoration. Self-adhered modified roofing is a combination of asphalt with polypropylene, styrene, rubber or other agents to create a uniform matrix, enhancing the waterproofing properties of the asphalt. This gives the roof a durable and weather resistant covering with a long life span. Although repairs to self-adhered modified roofs are more difficult than EPDM rubber roofs, they are also much less commonly required, because of self-adhered modified roofing’s increased durability. Different roofs require different solutions. Self-adhered modified roofing is often appropriate for roofs where contact with tree branches is a concern, or where frequent foot traffic is necessary. Self-adhered modified roofing’s unique composition is more resilient and holds up better to frequent abuse than EPDM. Community Roofing and Restoration’s installation experts will first plan the roofing project, examining the need for special techniques to properly cover any problem areas on your roof. They will also examine areas where the roof may need additional protection, and recommend a single or double ply installation. The entire roof area will be prepped, and the self-adhesive material will be applied and finished. Commercial flat and low-slope roofing work can be tricky, and planning is critical. It’s important to work with a contractor that has all the knowledge necessary to recommend the right solution for your business. A commercial roof needs to last as long as possible, with minimal maintenance and repairs necessary, in order to avoid affecting the business’ bottom line. Hire Community Roofing and Restoration to take care of the top of your building, so you can focus on what’s going on inside. 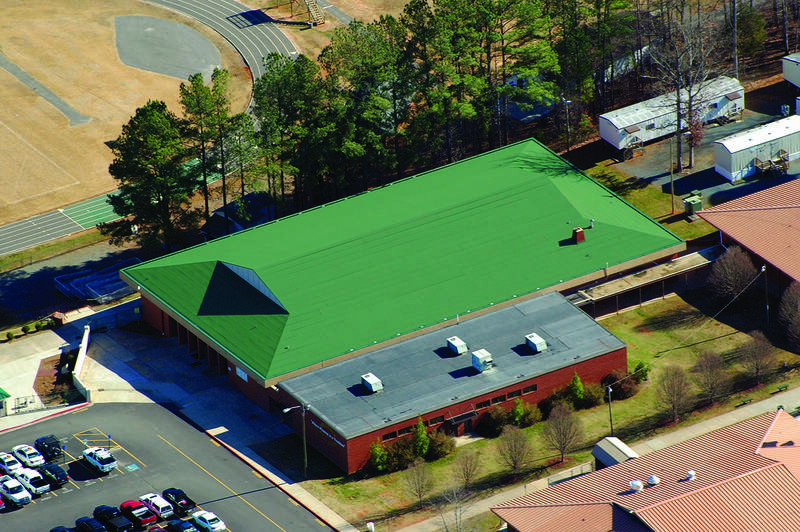 Interested in a self-adhered modified roofing installation for your commercial building? Give us a call at 414-332-1139 or fill out our contact form today to schedule your free visit!